Changes in exchange rate effcct the sectoral costs and prices by means of input costs.The impact of any change in exchange rate can be measured by using the row data including cost vector in input-output table. In this study, by using in put-output table for 1990, I tried to determine the scctors that are mostly influenced by the depreciation of the exchange rate in Turkey. AYDOGUÃ,O. 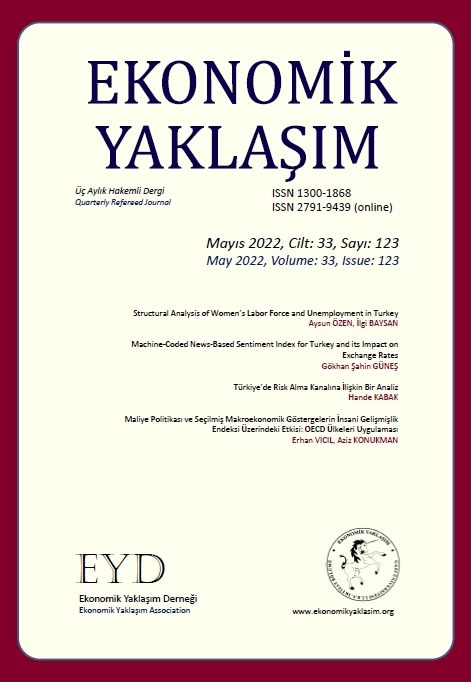 (l992),"TÃ¼rkiye Ekonomisinde Maliyet-Fiyat ÃliÃ¾kileri; SektÃ¶rel Fiyat OluÃ¾umu ve Enflasyon'', 3.Ãzmir lktis;Ã½r Kongresi: TebliÃ°ler iÃ§inde Cilt:2, Ãzmir. CHIANG,A.C. (I983), Matematiksel Ãktisntm Temel YÃ¶ntemleri. Ãeviren:E.Kip ve DiÃ°erleri, GÃ YayÃ½n No:l8, ss.62-145.Ankara. ÃNEY.E. (l983), Ãktis,?di Planlmna, SBF YayÃ½nÃ½, Ankara. Precambrian Research 2004; 132(1-2): 179.